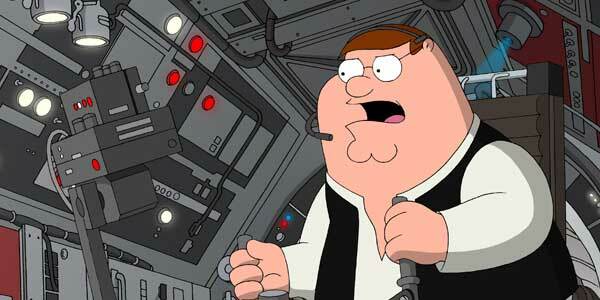 ‘Family Guy: It’s a Trap!‘(aka Family Guy Star Wars part 3) is coming to Blu-ray and DVD on December 22. This is the third in Family Guy’s series of Star Wars spoofs, following ‘Family Guy: Blue Harvest’ and ‘Family Guy: Something, Something, Something Dark Side’. So again it’s Peter Griffin playing Han Solo, Lois playing Princess Leia, Chris playing Luke Skywalker, and Stewie as Darth Vader, retelling Star Wars via the Family Guy filter, while firing off a few satirical rounds at, well, anything really. Guest voices for this animated movie include Patrick Stewart and Michael Dorn from ‘Star Trek: The Next Generation’, and Adam West from the 1960s TV version of ‘Batman’, who also voices the Mayor Adam West character in the ‘regular’ ‘Family Guy’ TV cartoon. You can pick up the Family Guy: It’s a Trap! film on Blu-ray and DVD, or buy the entire series on both formats.